With a curatorial focus on engagement and interaction, the value of artistic survival and shifts in the cultural landscape, Resonate celebrates Root Division, highlights the value, impact and depth of the organization’s artistic community. For Root Division’s inaugural exhibition at their new long-term home on Mission St., Stairwell’s created a series of wall labels that recontextualized existing architectural features within the space as works of art. 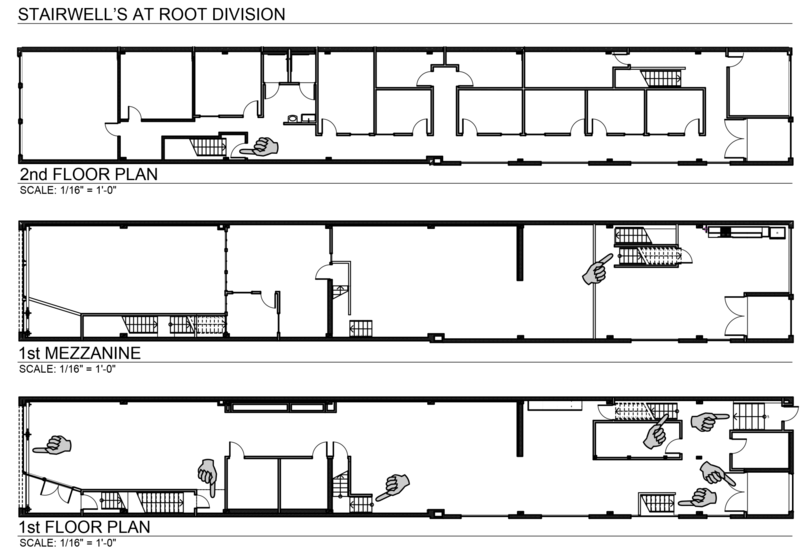 These included a diagonal steel beam for seismic safety, and multiple sets of stairs such as those leading up to the staff offices and the artist studios. 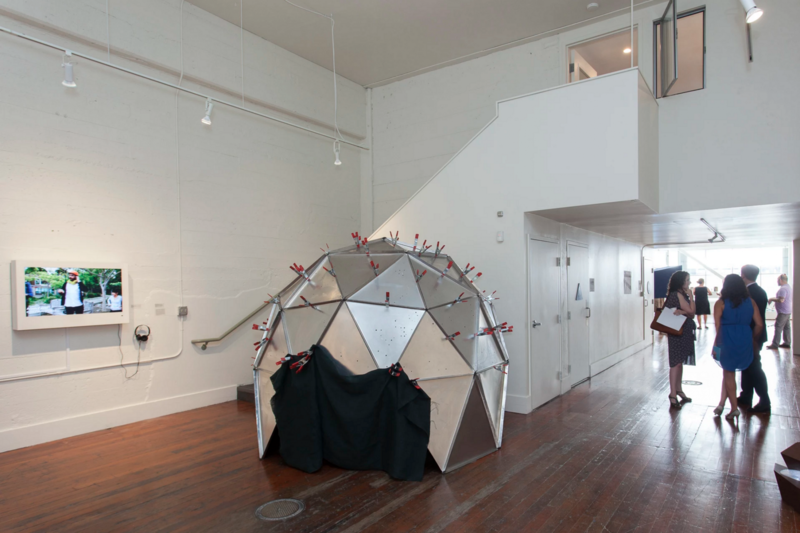 This exhibition also included the debut of the first Stairwell’s video piece, a short documentary by Phoebe Tooke shot during an Oakland Field Trip in January 2015.